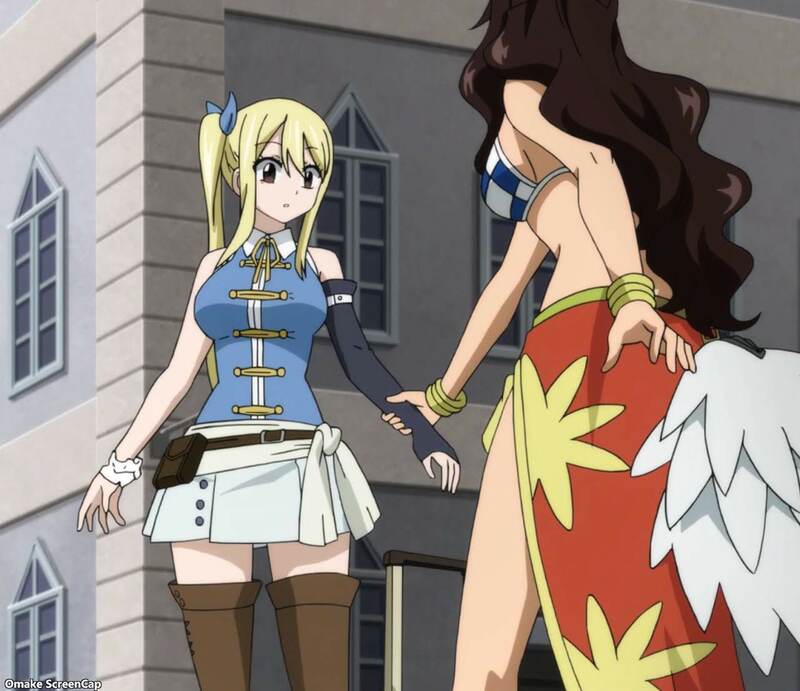 Cana celebrated the Fairy Tail reunion a bit early with a good swig in the middle of the street. 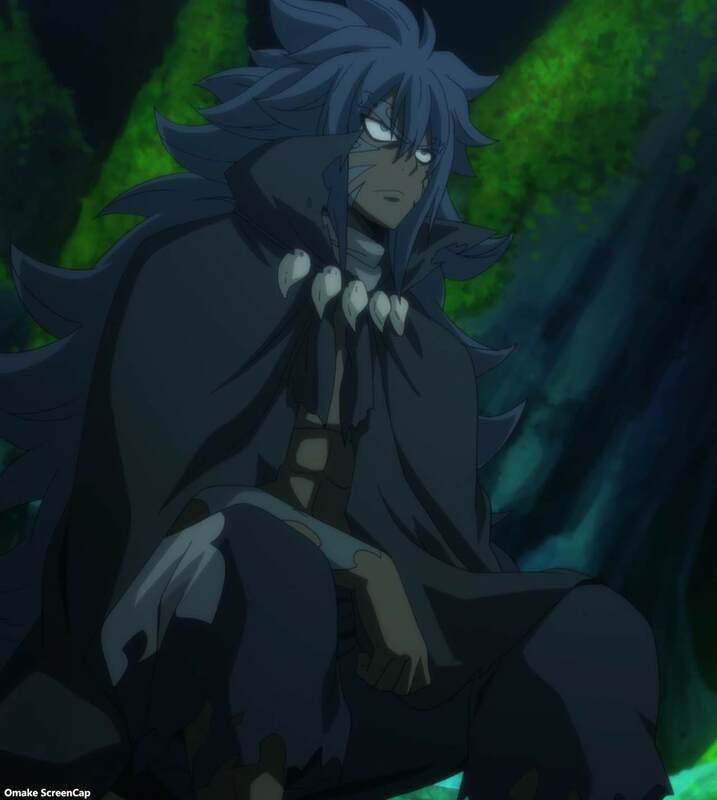 Acnologia met Zeref to let us know their final confrontation is going to be bad business for everyone else. 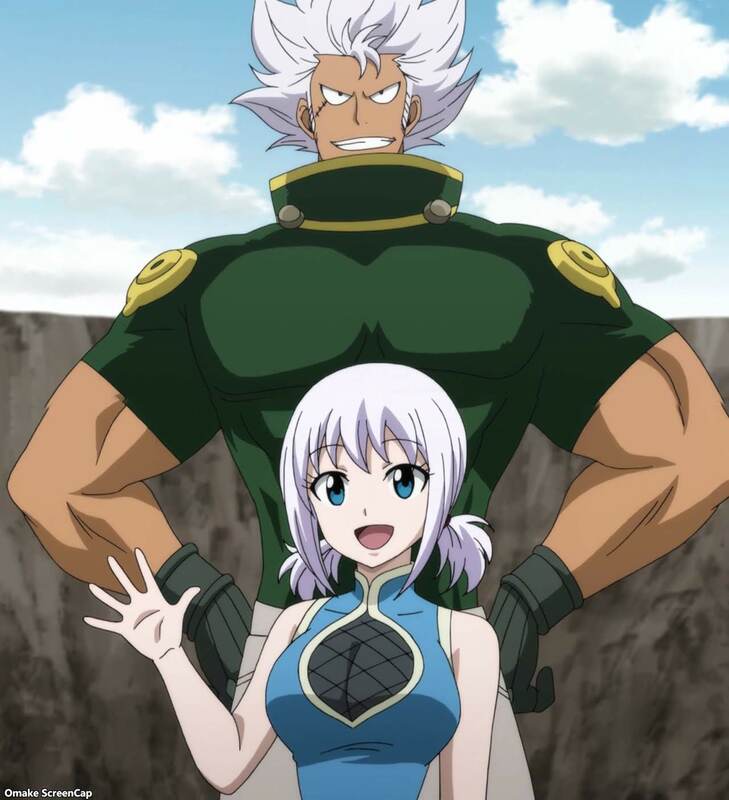 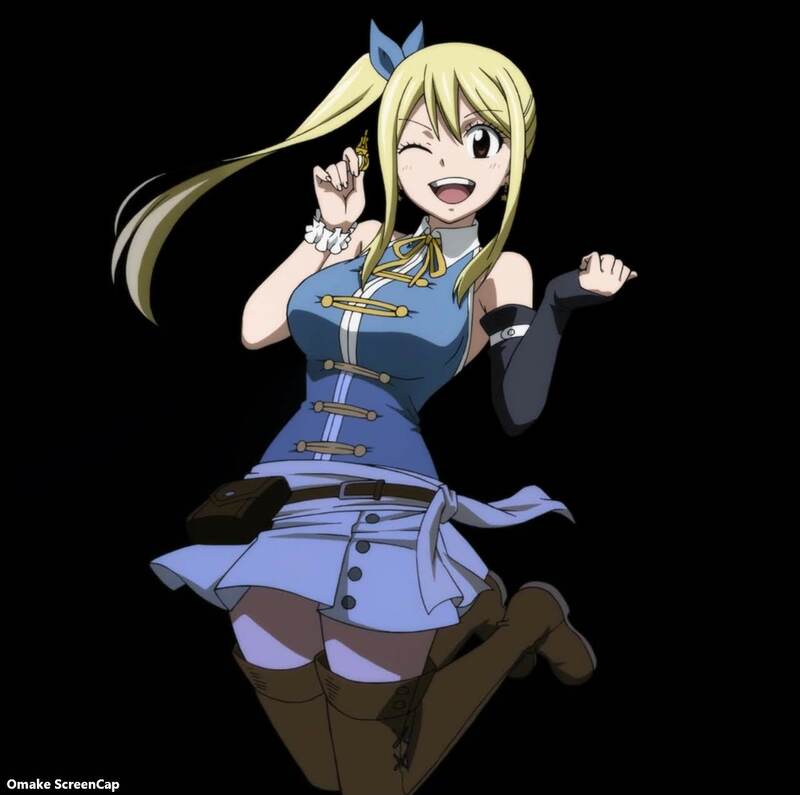 Lucy was apprehensive that no one else would show up to the Fairy Tail Guild site besides those they met fighting Avatar. 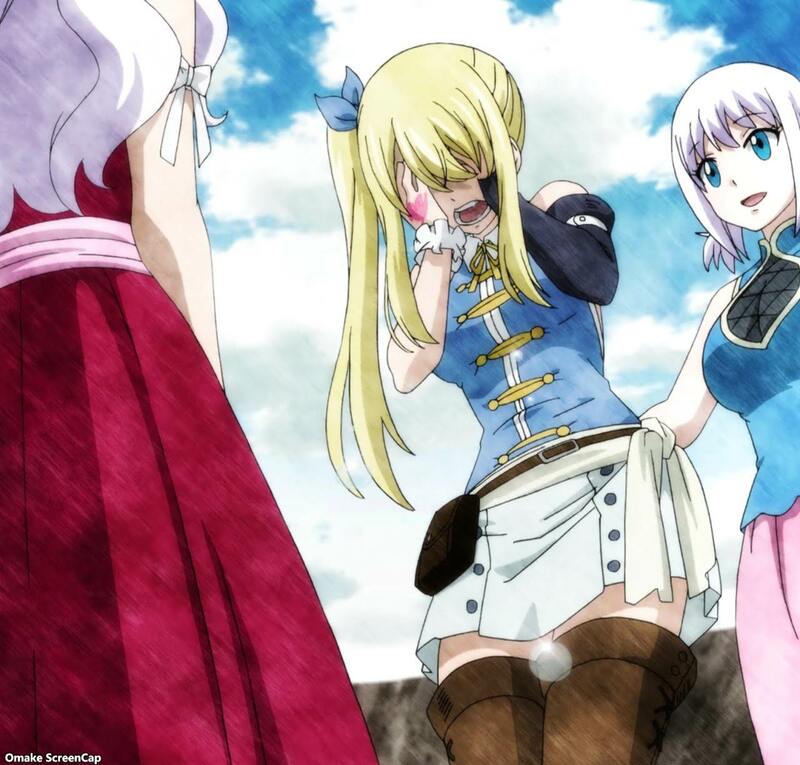 Cana was the first one Natsu, Wendy, Lucy, and the cats met in Magnolia and Lucy did find a heartfelt reunion with all her guild mates.